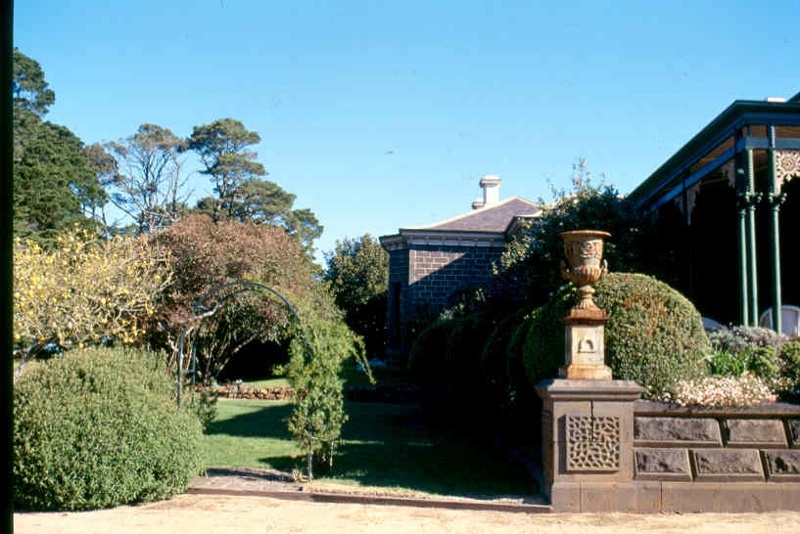 Chatsworth House, a substantial single storey bluestone mansion with attendant outbuildings, on the Hopkins River near Chatsworth, was erected in1858-59 for pioneer pastoralist John Moffat. 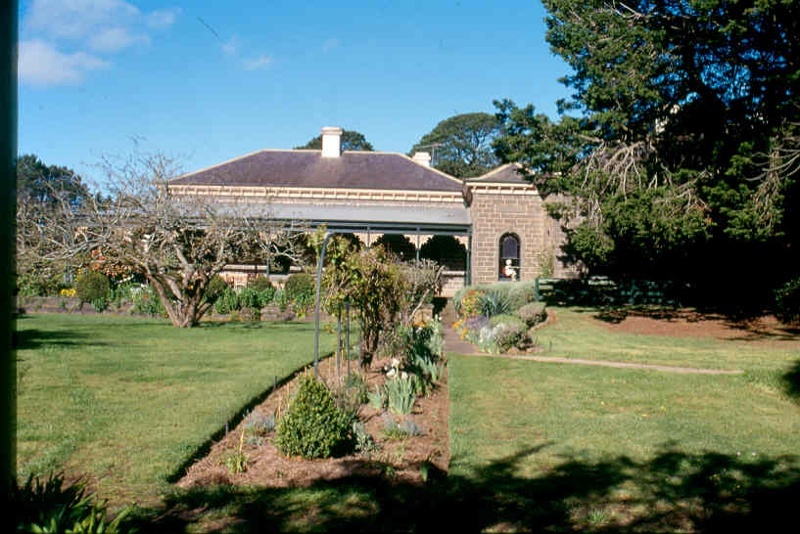 This conservative classical stylehouse with Doric portico and encircling iron verandah was designed by prominent Hamilton architect James Henry Fox. 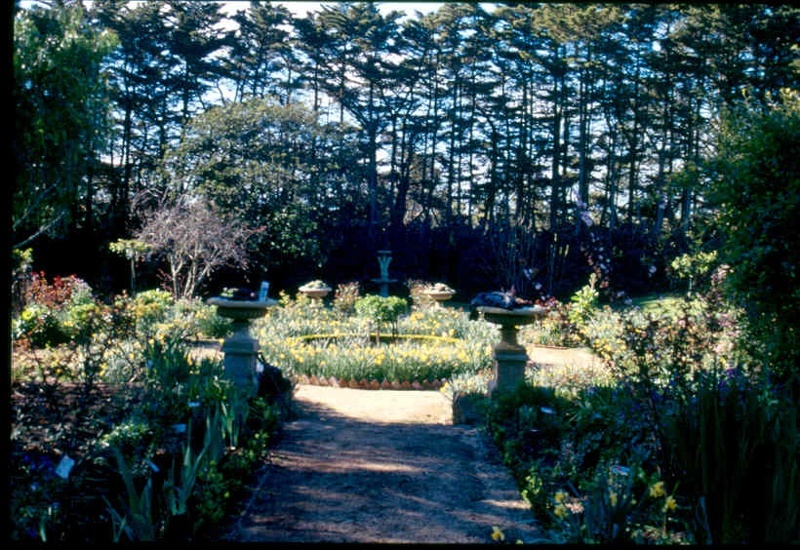 The mansion is set in spacious landscaped gardens. 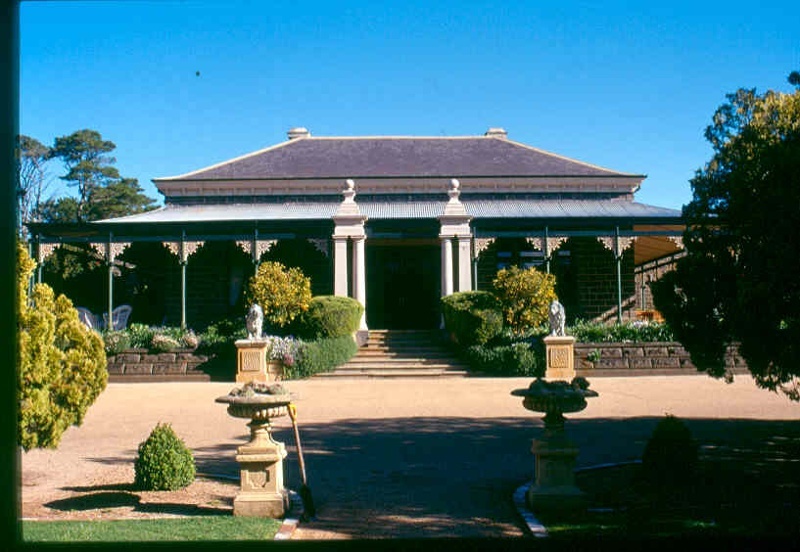 Chatsworth House is a fine example of the conservative classical style mansion and a notable work of James Henry Fox, a celebrated Hamilton-based architect and designer of Victoria's most magnificent mansion 'Werribee Park' in 1873-78. Chatsworth House of 1859 foreshadowed the western district mansion house of the 1870's and is an important and splendid prototype. John Moffat, a prominent Victorian pioneer, entertained Prince Alfred at Chatsworth in 1867.Chatsworth House is intact and meticulously maintained. The outbuildings are also in good condition. Shire of Mount Rouse. No.325. Chatsworth House, Chatsworth.